Philanthropist David M. Rubenstein, the co-founder and co-executive chairman of The Carlyle Group, one of the world’s largest and most successful investment firms, will speak at Hampden-Sydney College's Commencement on May 11, 2019. The Virginia School Boards Association (VSBA) has recognized Sandy Cooke, director of civic engagement at Hampden-Sydney College, in appreciation of the many ways she and the College partner with Prince Edward County Public Schools (PECPS). Caleb Kimbrough has been announced as Hampden-Sydney College's new men's basketball head coach. Just days before 250 Hampden-Sydney students sat for the annual Rhetoric Proficiency Exam, Tiger alumni from a variety of industries spoke about the impact of Hampden-Sydney’s Rhetoric Program on their professional success. Eight Hampden-Sydney students attended a Disney Institute workshop in Orlando, FL, as part of a one-credit-hour professional development course. The Hampden-Sydney chapter of Omicron Delta Kappa, a national leadership honor society, inducted fourteen new students last week. 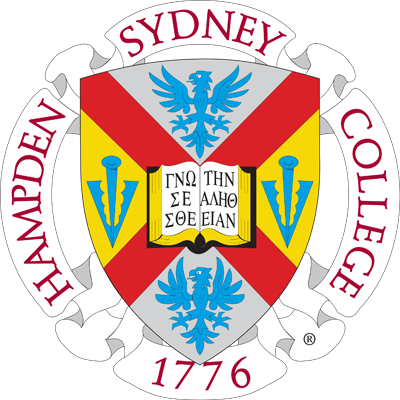 Hampden-Sydney College offered four spring break trips during the week off—three Beyond the Hill excursions and one class trip—and each opportunity provided a unique experience for a variety of interests. Forty years ago, a cornerstone of the Hampden-Sydney College academic experience was established creating a legacy that we celebrate this week: the 40th Anniversary of the Rhetoric Program.